yeah i was thinking of the aliens too... supposedly we aren't able to do things we call 'progress' without them. For example back in the mid 1900s some say we got the 'transistor' from the aliens, and of course without that most of modern technology wouldn't be possible. lol! I wonder sometimes how much we are able to do of our own volition, and how much is just a copy of whatever we see around us? And then we also have the storys of lemuria and atlantis too. About the sphinx though some people say its not a sphinx like a cat it was first a dog like Anubis an for some reason it was changed. That is kinda interesting. There can be found in the Egyptian deserts sandstone mounds that have been shaped by the winds into sphinx-like structures. It has been theorized that the builders of the Sphinx used the mounds like templates and copied them into their more intricate designs. built by an even far more ancient civilization? Yea maybe Kine Lea, i don't know. Yeah, I saw a tv documentary once about those sandstone mounds. There were only about 10 to 15 feet tall, roughly sphinx shaped. I couldn't find any examples of them searching the net so maybe their not well known or considered just another screwball theory. 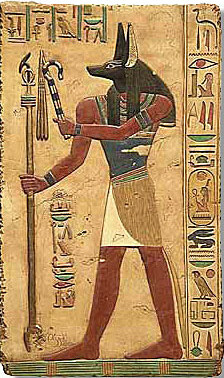 Being originally Anubis shaped was just an afterthought ... meh! worth a try. I googled but didn't find what you mentioned either, thanks for your input though Kine Lea, if you find anything on it feel free to share.